PLEASE NOTE: We will continue to accept donations after the goal has been reached, and that those funds will be used toward further conservation of the oak woodland. Thousand Oaks Park is a uniquely wonderful part of the City of San Jose Parks system. This grove of Oak Trees extends through the park and into the surrounding neighborhood and adjacent open space. These are majestic, historic, and native Oak trees. A small group of citizens are working to create a City-recognized park facility in the natural, open space portion of Thousand Oaks Park. Once completed, the site will no longer be at risk for alternative use. Initially, your donation will support the creation of a permanent walking trail, three benches, educational signage, and a park entrance sign. 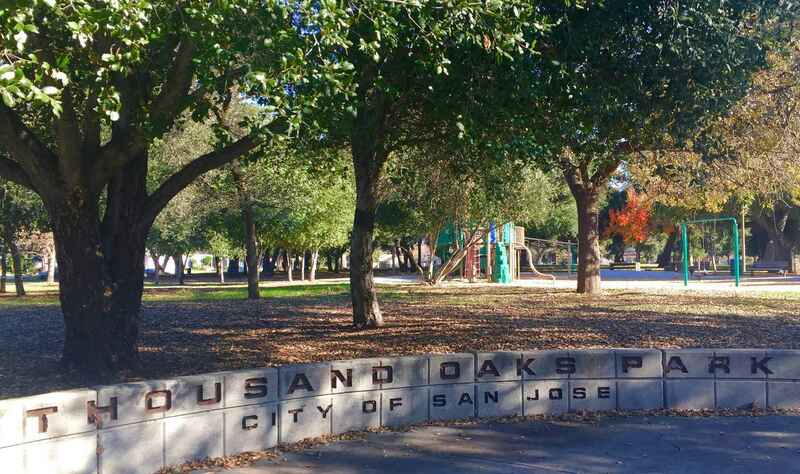 Future improvements will include materials to cage and protect oak saplings, native plants islands, including decorative boulders and an oak management plan that will guide future maintenance and preservation of Thousand Oaks Park and its heritage oak grove. Sorry I missed the original donation time...Just saw all the hard work on the 4th of July!! Great job!! I would like my donation to be used to fund our great Neighborhood Parade. Help Fund Thousand Oaks Park Improvements: Turn the additional land on the west side of the park into usable park land as a part of the greater park. We love our neighborhood park and are proud to help preserve it for future generations to enjoy! This is our community. Our daughter grew up here, we walked our dogs around the neighborhood, and now our grandchildren play in the parks. We have lived here in Thousand Oaks Park Development for 44 years. It's been a wonderful neighborhood and we would like to help keep it that way. We love Thousand Oaks neighborhood and the parks in this area.